Most of us lead busy, productive lives and value our time. Time working productively. Time with our family. Time with our friends. Time teaching our kids how to grow into responsible young citizens. It would be tough to argue that time should be spent any other way. But in our business, time actually is spent another way, and it's a shame. You see, we routinely have to comply with the demands of our suppliers. That isn't too bad of a concept in general. But when the demands make our work needlessly more difficult, and when they make it difficult and time-consuming to communicate with customers, and when they make it difficult for you as a consumer to conduct business with us, then those demands become a problem. If you've been a customer of ours in the past you've become aware of advertising and pricing demands imposed upon dealers like us by some manufacturers in the sleep therapy industry. These demands dictate that we must advertise certain prices for CPAP equipment, and that if we don't comply with these policies, the manufacturers cut us off from buying equipment from them. You've seen this before, even if you haven't shopped on our website in the past. Retailers like Amazon.com and Best Buy and tens of thousands of other retailers are routinely subjected to restrictive advertising and pricing policies, which force those retailers to advertise prices that are different from the actual retail sales prices of the products being sold. With most of these retailers, you'll be able to add items to your shopping cart to see a lower price. With some of them, you'll see a message that says, "Call for pricing." And less often, you'll be prompted to enter a code to view a lower price. MAP - or minimum advertised price - pricing has been around for a while. After the Supreme Court ruled in 2007 that MAP pricing doesn't violate US anti-trust laws (seriously, that's what they ruled) manufacturers in many industries went berserk imposing MAP pricing restrictions on their dealers. Many manufacturers were holding off until the court ruling, and once the court ruling was announced, the consumer was officially screwed. Manufacturers have various reasons for forcing retailers to comply with MAP pricing and advertising policies. Sometimes the reason for restrictive pricing and advertising policies is to help a manufacturer maintain brand image. If consumers start negotiating the price of a Rolex watch down to $1,000 then people who wear Rolex watches won't think the Rolex watch is as cool or exclusive as it used to be. A bottom-of-the-line Rolex watch isn't necessarily WORTH $5,000 or $6,000, or whatever they sell for these days. But because everyone knows Rolexes are expensive, and because the Rolex marketing machine has built an image of prestige surrounding their brand, there's an intangible exclusivity factor that might influence both the wearer and anyone who notices the watch. In the medical equipment industry I believe the reasons for MAP pricing have a lot less to do with brand image and a lot more to do with insurance reimbursement rates, and an attempt by manufacturers to keep those reimbursement rates high. I also believe that manufacturers are looking to protect the old-fashioned brick-and-mortar stores that charge 3 to 5 times the price for the same equipment. Obviously, the manufacturers and the owners of the brick-and-mortar stores don't want people to see their high prices and compare those high prices to our super low prices. When discussing CPAP equipment over the phone and through email with tens of thousands of customers over the last several years, I've never once talked to a CPAP user who cares about the image of the brand and all the emotional stuff that goes along with that. CPAP users are looking for functionality. They want a good night of sleep. They don't care how they get it, or which brand can make it happen. I know the marketing people at every company think their brand image is important. And it is important, but artificially high list prices don't help the brand when the product is medical equipment for end users. If the image of a brand is that it overheats and explodes, then that's a REALLY, REALLY bad image (I'm excluding fireworks manufacturers, of course). With CPAP equipment, brand currently means almost nothing. I can't even begin to count the number of times I've heard a customer say, "I have a ResMed REMstar machine." Well, if you don't know how I just proved my point, then I proved it even better than I thought I did. ResMed doesn't make the REMstar model. Philips Respironics does. The bottom line here, is that brand image for CPAP equipment means very little to the vast majority of consumers. Brand image might mean a lot to the manufacturers, though, and those manufacturers might be thinking MAP pricing can help them with their image. The manufacturers might be thinking that a consumer will think the brand with a higher price is the better brand. Personally, I think better product names might help to better differentiate and promote brands which are essentially functionally equivalent to the competition. I'm constantly astounded by the dumb names being marketed in the sleep therapy industry. And you know the great thing about boosting a brand with better product names? It doesn't cost the consumer a dime, and it doesn't make it difficult for the consumer to see true retail pricing. So, you might be asking why I'm writing all this. Good question. I'm writing this to let you know one simple thing. We can't always show our actual retail price for equipment on our website. Whenever you see the following phrases it means you should take a moment to contact us to get accurate pricing. Call 888-955-2727, email or chat for a discount code. When in doubt, call us to place an order. You get our true retail price automatically when you order over the phone, no matter what you're ordering. Keep in mind, that many of the items on our website do show our actual retail price, since many products we sell are not subject to "Minimum Advertised Price" policies. Look for the phrases listed above to know if you should contact us for pricing information. We wouldn't make this difficult if we weren't forced to do so. We apologize for the inconvenience that MAP pricing creates for you. 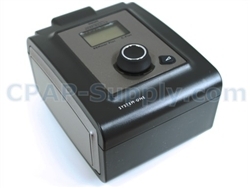 We very much want to make it as easy as possible for you to order CPAP equipment online at a fair price. So feel free to contact us any time and you'll get nothing but straight talk, expert service and excellent prices. Feel free to comment on this on our Facebook page at Facebook.com/cpapsupply.